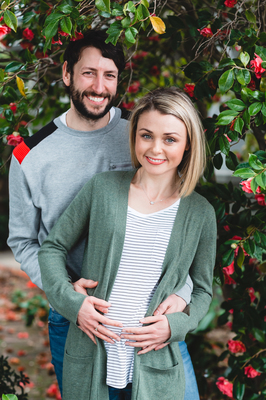 After a tumultuous couple of years, Geelong actor Sarah Grace is preparing for her biggest role yet – motherhood. The Winners and Losers star, forced to rebrand her acting studio last year after divorcing fellow actor and business partner Paul Moore, reveals her news in the latest edition of Geelong Coast Kids (GCK). Sarah and new partner Adam Di Biase were holidaying in Byron Bay when they discovered that their bundle of joy was on the way, she tells contributing editor Angie Hilton. “As you do when you’re away, we’d been indulging in a lot of soft cheese, cured meats, oysters, champagne – basically all of the pregnancy no-nos, “Sarah confides. “So my initial reaction when something along the lines of, ‘Ahhh! I’ve poisoned our baby! Adamo was so level-headed and assured crazy me that was definitely not the case. Sarah’s story is just part of the great reading in the spring edition of Geelong Coast Kids. 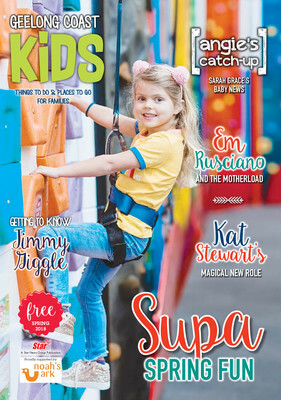 Parenting advice, child health news, kids’ book reviews and a great guide to school holiday activities also feature across the magazine’s glossy pages. Geelong Coast Kids is free to pick up now at hundreds of family-orientated locations and venues across Geelong, the Surf Coast and Bellarine Peninsula. A free E-magazine and more great reading is available at geelongcoastkids.com.au, with readers invited to follow Geelong Coast Kids on Facebook.